1r Prize: Nanoplastics, which presents a biodegradable plastic film with antimicrobial properties for food packaging applications. The film presents the following characteristics: it can by recycled, it is easy to integrate in the already existing packaging processes, and it is a low cost production system. The team is formed by Achille Francone, researcher at the Catalan Institute of Nanoscience and Nanotechnology (ICN2), Ana Beatriz and Tarik Ruiz Medina, from the Center for Research in Agricultural Genomics (CRAG), and Natalia de la Oliva, from the Institue of Neurosciences (INC-UAB). 2n Prize: RES-KIT, which develops a fast diagnostic kit for the detection of multiresistant bacteria in veterinary medicine. This is a multidisciplinary project with researchers from CNM-IMB (Antoni Baldi, Maria Diaz González and César Fernández Sánchez), UAB (Laila Darwich and Carlonia Liz Mascaró), IRTA (Lourdes Migura-Garcia) and IBB (Sergi Montané and Sergi Rodríguez). 3r Prize: Ovatec, for the development and outreach of the "in vitro" reproduction in animals, and for the production and commercialization of genetically selected bovine embryos. The team is formed by Maria Garcia Català and Miquel Espada Aventín (UAB). Plant Healing, for the use and development of biopolymers based on bacterial cellulose, which is biocompatible and antipathogenic and has regenerative and healing properties, for the regeneration of plant tissues. This project had the participation of Agnese Rabissi, researcher at the Institute of Materials Science of Barcelona (ICMAB-CSIC), Karla Ramírez, from the Center for Agricogenomical Research (CRAG), Antoni Iborra, from the Cell Culture, Antibodies Production and Citometry Service (SCAC) of the UAB, and Clara López, from the Institute of Neuroscience of the UAB (INC-UAB). SaddlePro, for the development of personalized bike saddles through biomechanical and dynamic analysis. The team is formed by Pablo O. Vaccaro, researcher at the Institute of Materials Science of Barcelona (ICMAB-CSIC), Nathalie Marcela Cerón, from the Engineering School at UAB, Jordi Esquirol and maider Sánchez, from the Gimbernat University School (EUG-UAB), and Jordi Querol, PhD researcher at the Veterinary School of the UAB. NanoFlicker, which develops microparticles in suspension capable of generating electricity remotely. The team is led by Carolina Vargas, researcher at CNM-IMB. The jury was formed by Oriol Sans, Director of ACCIÓ; Isabel Amat, Director of Business Development at RJ-Biotech and Vicepresident of Catalonia BIO; Josep Castells, CEO & Chairman at Inkemia IUCT group; and Sara Secall, Director of Inversions Inveready. The prizes are awarded with 2500 €, 1500 € and 1000 €, respectively, and some incubation months at the Eureka Building of the PRUAB. The goal is to give tools to the researchers, and to guide them in the process of transformation of a research project into a business project. About the program "Generació d'Idees"
This main objective of this Program, which has arrived this year in its sixt edition and is an initiative of the UAB Research Park (PRUAB), is to support research staff to follow their ideas and generate market solutions based on their research, by guiding them in the process of transformation of a research project into a business project. 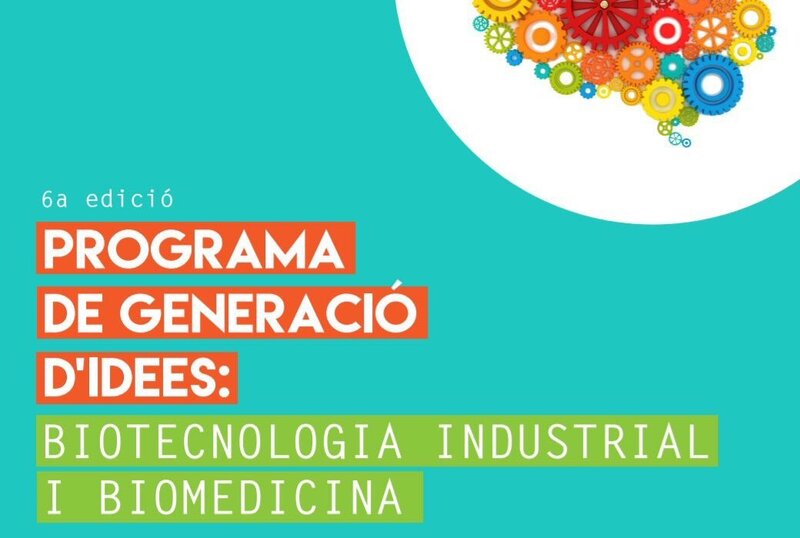 This year's edition has focused on the creation of projects in the field of industrial biotechnology and biomedicine. 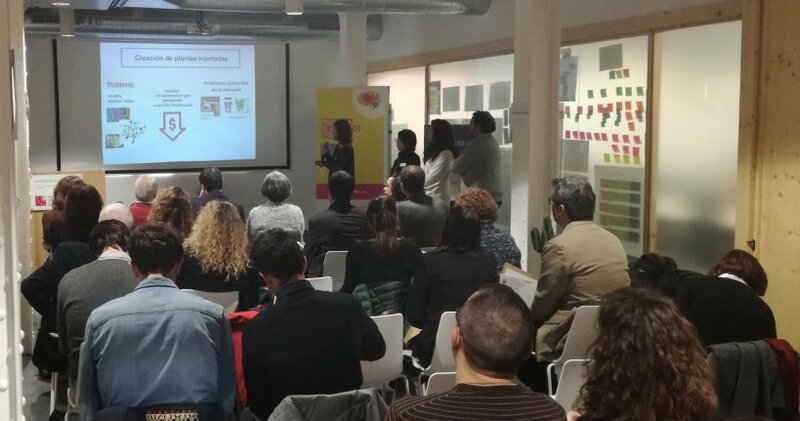 For this reason, it has been co-organized by the "Xarxa de Referència en Biotecnologia" (XRB) and with the sponsorship of Roche Diagnostics, Air Liquide, Barcelona Synchrotron Park and Sant Cugat City Council. In total, 40 researchers and researchers from different groups and research centers of the UAB campus have participated. All of them have worked in multidisciplinary teams and have developed nine projects. Since its first edition, the Program has generated the creation of nine innovative companies: AEInnova, Bioeclosion, Crowdmobile, Axia, Mass Factory, Make-R, Pump-it, Sensing Solutions and Visual Tagging Sevices. More information: Read the Press Release (in Catalan) here.